After several deadly crashes, Maryland’s Prince George’s County is reminding all drivers to not make decisions behind the wheel which have the potential of ending in tragedy. At a Monday news conference, Alsobrooks urged drivers to not drink and drive, stop friends and family from getting behind the wheel while impaired and also to avoid taking their eyes off the road to look at cell phones. 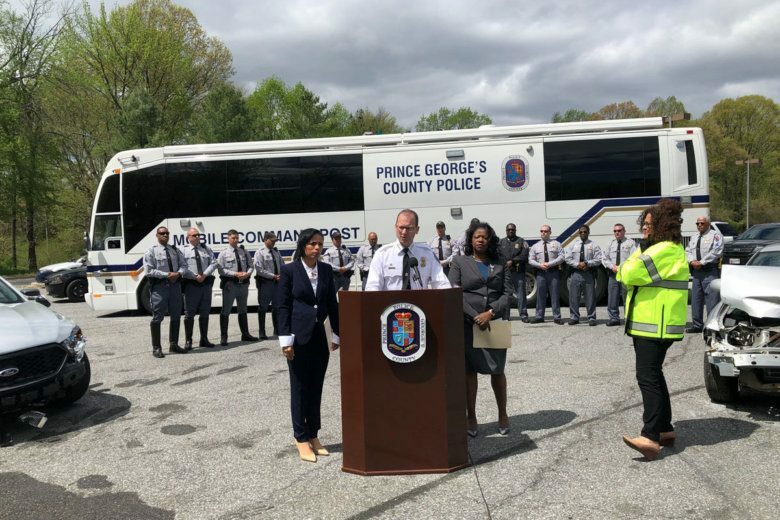 Prince George’s County State Attorney Aisha Braveboy said a third of all the accidents seen on area roadways are caused by drivers who are drunk or under the influence of drugs. Prince George’s County police chief Hank Stawinski said a growing number of accidents are also being caused by distracted drivers doing things like eating behind the wheel or looking down at a smartphone. “When you’re traveling in a vehicle, you’re traveling several hundred feet a second and roadway conditions can change and they can change too quickly for you to react to them and avoid that collision,” said Stawinski. Stawinski urged drivers to wait until they’re stopped before looking at phones, and that checking it at a red light is also dangerous. “It may delay you moving with traffic, it may mean someone who is not paying attention collides with your vehicle,” Stawinski said. While Stawinski said his officers are always on the lookout for drivers making dangerous choices, all agreed it will take the community involvement to make the roads safer. When crashes do occur, Braveboy said another sad fact is some fatalities may have been prevented if motorists were wearing seatbelts. She also painted a graphic and sobering picture of what first responders arrive to find in crashes where seatbelts are not being used. “People are often ejected from vehicles, and often times their bodies and limbs are severed,” Braveboy said. Those grim facts, Braveboy said, also means many families are unable to have open casket funerals for their lost loved ones.